I wrote last time about how the GTCE, despite being intended to be a professional body, ended up being an arm of the education establishment promoting a very progressive view of the role of teachers and the methods that should be used. I also discussed why I feared The College of Teaching could end up being a very similar organisation and why, assuming I had the choice, I would be reluctant to join. However, it hasn’t been created yet, so the idea can still win me over, and there are certainly people I respect involved (although none of them are teachers) and so I had intended to immediately describe what needs to be done to make the prospect enticing to me. I now realise this is going to take more than one post. While my starting point was that the College of Teaching cannot have the same ideological leanings as the GTCE had, there is a wider point that any strong ideological stance (including those beliefs whose adherents claim not to be ideological), would make it of limited appeal to some significant part of the teaching profession. I think this is a concern across the board. A lot of people’s main priority is that the College Of Teaching does not get captured by those they disagree with (whether they think that’s a matter of ideology or not). My next post should include some practical suggestions about how this can be ensured, however, I have realised that some people advocating a College of Teaching have assumed that making the ideas it promotes “evidence-based” will be enough to unite the profession. In this post I simply want to point out that a commitment to evidence or research (I’ve not really distinguished between the two as I’m not sure that matters for this argument) will not be enough to make a body seem ideologically neutral. I’m perfectly capable of challenging what people present as research or evidence. I gave the example in my last post of the GTCE’s research summaries, and have in the past commented about the BERA Social Justice blog, both of which show how research can be anything but ideologically neutral. I would go further and agree with Michael Fordham and Howard Aldrich that even the way research is categorised is flawed. …we are in danger of locking our work into a mechanistic and technical model, losing the creative and progressive power of the work we do. We are NOT like doctors, or actuaries – there is no simple evidence-based relationship of intervention to outcome. …More than the suggested representation of all unions, regions, etc – I believe the College of Teaching must also represent all pedagogies and have a formal place to access learning from educational technology; eg – the success of project based learning in raising attainment, or new models of CPD using twitter. Whilst I welcome the increasingly prominent role of “evidence-based” and “evidence-led” practices (though I prefer the term “evidence-informed practice”), I am concerned that the concept may be hijacked by those with a particular political stance who interpret evidence and research through the lens of their convictions. …So, whose evidence will the college of teaching base its recommendations for practice on? Who will decide what constitutes good evidence? Will we be encouraged to interpret this evidence as teaching professionals or will this evidence be interpreted for us? And would a college of teaching continue to eschew the application of technology to support teaching and learning as an “ineffective intervention”? …research shows time and again, that the early and primary years set the tone for the future. They can shape minds, strengthen hearts and build learners with the tenacity to succeed. It is my belief that this research, gathered and disseminated by a professional body free from political ideology and vote chasing, would give us the knowledge and autonomy to create the learning experiences that these children need. And for this reason alone, I whole heartedly support the idea of a College of Teaching. With the drivers of markets, managerialism and high-stakes testing in place, it becomes possible for government to step back, safe in the knowledge that a complex web of mechanisms – league tables, performance-related pay and Ofsted – can be relied on to do the work. The danger is that a College of Teaching simply becomes another element in this web of control that frames how teachers are expected to do their work. It provides the appearance of autonomy and independence, but in reality it serves to reinforce the culture of compliance that bedevils English state education. This is because what will be valued will be what the College has decided is “what works”. Asking teachers to focus on what works, and privileging the research methods often associated with such questions, runs the risk of creating new orthodoxies. Through this, career advancement remains contingent on implementing what others have decided is “good”, or what constitutes “best practice”…. …If teachers are confined to asking “what works?” while only the policy elites get to decide “what matters” then teachers remain shut out of the debates about the really big questions: what is education for and how should young people be helped to understand and engage with the world they are growing up in? Now if you know anything about my views, and what I consider to be the evidence that underpins them, I find it impossible to imagine that my disagreements with any of the above can be resolved by reference to evidence. I am not arguing here that I cannot be part of a College of Teaching which includes people with views like those above, but I am certain that no amount of evidence or research is going to allow us all to support a single College of Teaching that claims to be promoting “what the research shows”. Research and evidence are divisive, not unifying, forces in education. The Howard Stevenson quote touches on what I think is really important in this whole debate: the difference between ends and means. Except that Stevenson thinks that it is the role of teachers to decide the ends as well as the means, while in truth this is surely for the rest of society, the “customers” of the education service: the parents, students, employers and government. When the provider of a service becomes the one to say what the purpose of that service is, then you have a self-justifying priesthood, not an accountable service provider. What this means, I think, is that research is helpful while it focuses on what works, i.e. when it addresses the means of education. The best thing that can be done for ed-tech (a passion of mine) is to be told when it *doesn’t* work (which at the moment is most of the time). To ignore the lack of evidence that ed-tech contributes to achieving the accepted ends of education, as most of the ed-tech community does, on the grounds that ed-tech is all about introducing new ends of education, is to repeat the same fallacy as Howard Stevenson. Any new professional body is sure to be captured by the current consensus, and will happily justify its position by citing so-called research that is not worth the paper it is written on. So long as the current culture persists, politicians would be wise to try and promote market mechanisms (which encourage the entrance of counter-consensual and innovative positions) rather than consensus-entrenching corporate bodies. I’m 99% with Crispin on this. He hones in perfectly on the nature of the problem. Strategists, policy makers, think tanks, politicians and all the leading educational organisations I know of in the UK, simply have no idea that virtually all the recent moves towards “progressive education” have been driven by technology. Where I differ from Crispin is how to modify the market. This particular market…isn’t one. Core to the way technology has impacted so dolefully on high quality education internationally in the last two decades, has been the way the educational technology market operates. There is simply no meaningful consumer relationship between suppliers and teachers. Schools and teachers are never the purse holders and purchasing decisions are made for them by individuals, authorities or other bodies with vested interests. “Counter-consensual” or “innovative positions” are food and drink to any good marketing professional and the latter has been the single most dominant marketing ploy adopted by anyone selling in this field for years. The situation isn’t likely to change until suppliers genuinely value high quality, educationally relevant advice instead of using either the “key influencers” they prefer as mouthpieces, or churning through techno-zealots. This is a really important debate – and exactly the kind of debate that more teachers should be aware of and involved in. What a College of Teaching can offer is a forum for that to become more common. Much discourse around the ‘what works’ agenda assumes that to every complex problem there is one simple answer. Irrespective of context there is one ‘best way’ to teach. This is very unlikely to be true. There may be methods which work well for a lot of learners a lot of the time. As with surgery, there will be techniques with high success rates. The art and science of a profession is knowing if the patient, or learner, in front of you is one of the 70% where the popular technique is working and if not, what to try instead. So what will a College add? Far from trying to shoe-horn teachers into a uniform way of thinking it will facilitate a community of committed professionals to bring their professional judgement to bear when interpreting what research evidence means for their individual practice. Why does the use of a technology (or any other form of intervention for that matter) work really well for one teacher/class/school/learner and not for another? The answer will lie in a deep understanding of the complex interactions that take place minute by minute in a room full of 30 very different individuals. And if that answer looks simple, it is probably wrong. The alternatives at the moment seem to be the adoption of systems wholesale (by policy makers or practitioners) according to fashion as much as evidence. Surely we can do better than that? I take the point that looking at research does not imply that it will be applied uniformly and without thought. But some of the debate about research is even more fundamental. Some would argue against the very idea of “interventions” or “techniques”. 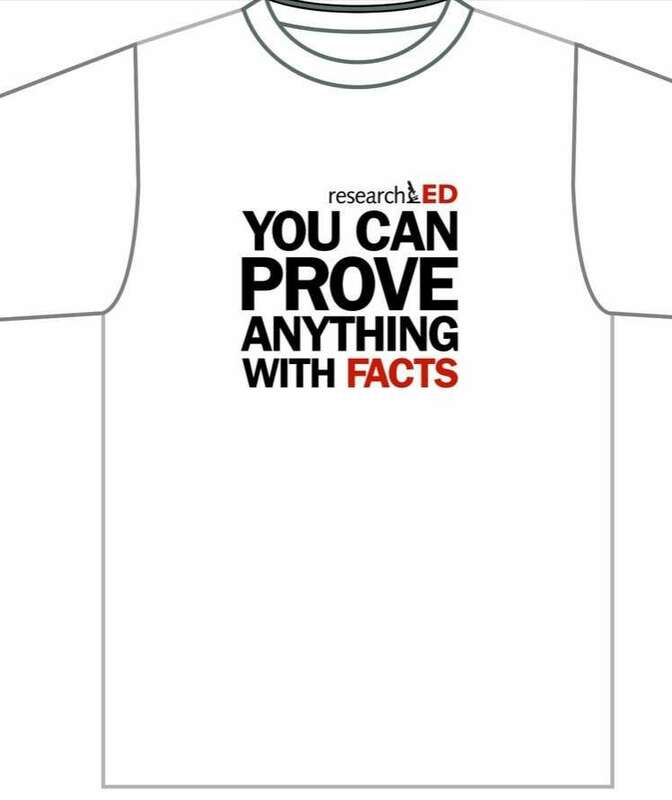 At the very least, I think the debate about evidence and research may prove to be one of the most difficult aspects of the whole enterprise, not a way to resolve anything.